These Border Collie pups are playful, loving, and energetic. Intelligent, alert, and adorable, Border Collie puppies will grow up to be supreme sheepherders. Even at an early age, their natural herding instinct is noticeable. 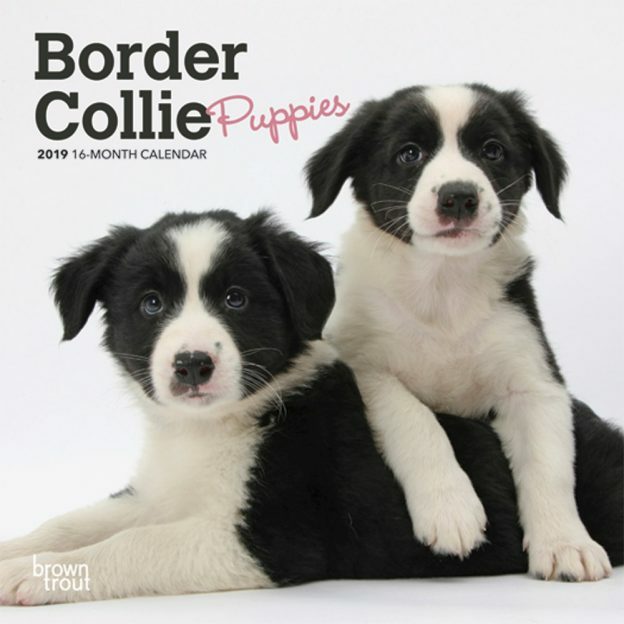 No doubt about it, the lively Border Collie puppies in this darling mini wall calendar will make you smile. This calendar includes a free download of the DogDays™ app for the smartphone and tablet, which grants access to the world’s most captivating dog photos and backgrounds, fun puzzles, and a calendar featuring your favorite furry friends. This entry was posted in Calendar Showcase, Dog Breed on April 9, 2019 by dogdaysapp.